Put Your Members in Jeopardy! The game, of course. Okay, not the real televised version, but one of the variations available for learning. It’s a great way to create interaction and excitement, especially in group settings, so if you’re looking for ways to up the ante with your face-to-face (FTF) educational sessions, this is an option you should consider. 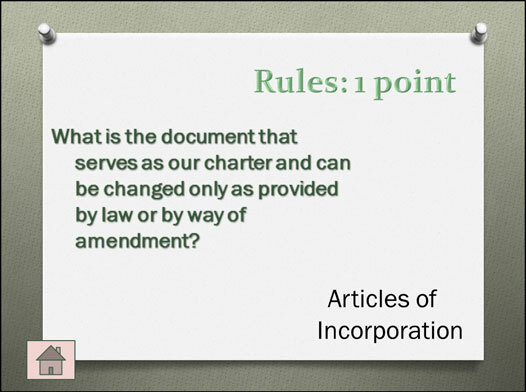 The simplest and least expensive way to incorporate the game show into a FTF session is to find a pre-built PowerPoint template online and add your own answers and questions. 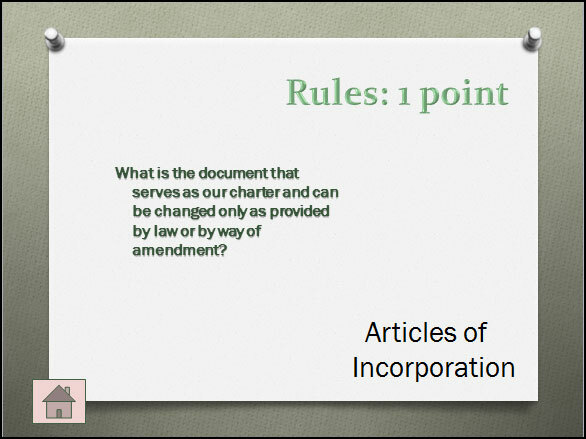 In this case, I used a template designed by Theresa M. Dyson of Virginia Beach City Public Schools and Tidewater Community College based on the Jeopardy game show (you can find similar templates here and other game templates here). You’ll need a manual notetaker to keep score, as this program doesn’t have an embedded score-tracking mechanism, but then — it’s free, right?!? 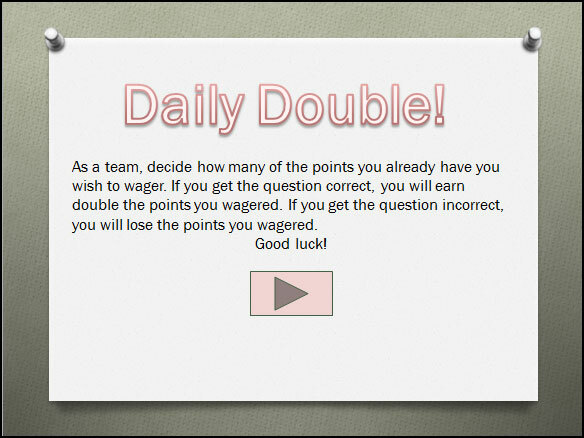 Don’t forget the Daily Double! And, because it’s built in PowerPoint, you can add images or embed video or audio clips! Make sure you test, test, test them ahead of time, and remember that the more extras you embed the longer it can take the file to open (all of this depends on your PC or Mac speed, of course). I found a wonderful program called Game Show Presenter by Tom Bodine (no connection to Articulate Presenter). Game Show Presenter can be purchased to run in a group setting and/or online. In order to run the game show we needed not only the program, but also a set of recommended buzzers, a laptop computer, and speakers. I haven’t tried this particular program, so it might include automatic scoring. This is just one of many games that can be leveraged not only for online learning, but FTF sessions as well. Take a look at Thiagi’s site for more possibilities, and let your imagination guide you! 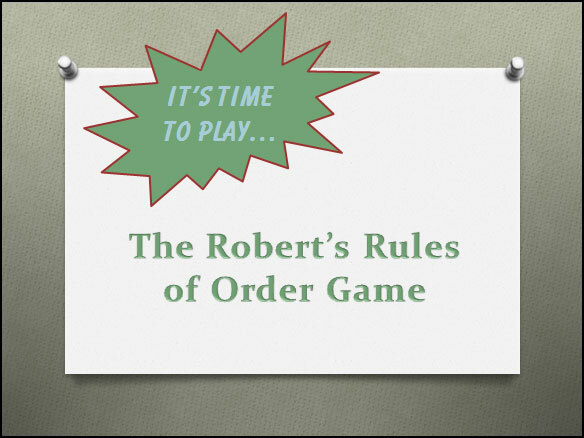 PS: Yes, this Robert’s Rules of Order Game is now available on the aLearning Fundamentals site! 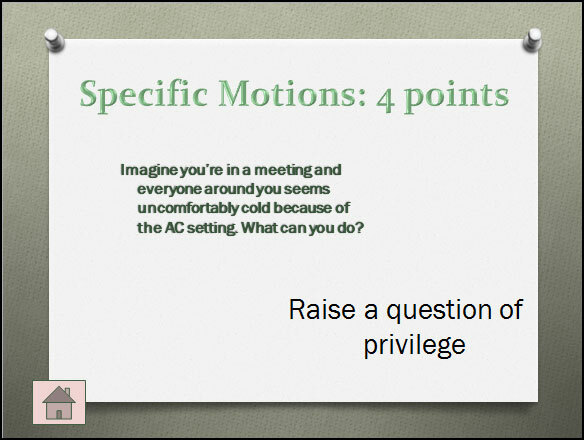 Just go to http://www.ellenbooks.com/general.html for the full list of Robert’s Rules tutorials, Motions Job Aid, and this game — which, by the way, is available as a PowerPoint download file or compiled so you can access it directly from aLearning via the Web. It’s free — no registration is required. aLearning is grateful to iSpring for providing the use of their Presenter program which is used to compile our PowerPoint slides for access on the Web. In the last few weeks I’ve given more thought to LMSes and examined more LMS options than I have in a long time, all while advocating for better choices — especially when it comes to numbers preceded by dollar signs — for small associations needing to install a workable and affordable LMS. The discussions — via blog comments (thanks, Peter, Susan, Todd, Rodolpho and others who added to the conversation!) and offline dialogues — resulting from my “LMS = Losing My Smile” post really got me thinking about what would be the ideal LMS for associations. And after I jotted out the must-haves (! ), I realized it would be an ideal LMS for any education or training department, not just within the not-for-profit community, but in the for-profit world as well. As far as I know, no such system exists, though some vendors are combining various pieces like never before, which is a step in the right direction. I did say it was ideal, right? Or does someone know of such a system? What Makes Online Learning Effective? Yes, I’ll keep preaching this. Yes, my face is blue from repeating it over and over. And no, I’m not tired of repeating myself quite yet. Because if your content doesn’t match the delivery mode, it doesn’t matter how interesting, entertaining, adept, practiced, experienced or knowledgable your instructor/facilitator/trainer is, the online event will fail. Completely. If your content doesn’t match the delivery mode, it doesn’t matter how many polls, chat and breakout rooms you use, how pretty your slides are, or whether you use phone or VOIP, the online event will fail. Utterly. So I’ll say it again: your content needs to be presented in a way that enables your learners to learn. Sounds obvious, but failing to do this is the primary reason most online events fail. Webinars are a great example. They’re easy to conduct and attend, relatively inexpensive, and everyone seems to be offering them. Even when they should be doing something else (see When A Webinar Is a Bad Idea). Only after you’re sure you have decided on the best delivery mode for the content you’re training should you be thinking about how you’ll handle the technical side of things, and choose the instructor. Do you produce your own Webinars, or hire a company to do them? Why did you make that choice? You do realize you have this choice, right? Small-staff organizations say it’s worth it to hand over a bundle of cash to have someone else take care of these responsibilities while they focus on more important events. That might be so. But make sure this is the case — don’t just assume it is. When we first ventured into Webinars, I weighed an important choice. For the same cost, we could license a Web conferencing system for a year or pay a Webinar production company the same amount to develop and hold just one Webinar. I learned the ins and outs of using the Web conferencing system. This was a professional development opportunity for ME and I immersed myself in it (and still do). Our staff is learning the system as well so they will be able to set-up virtual meetings and moderate Webinars as well — a professional development opportunity for them as well. 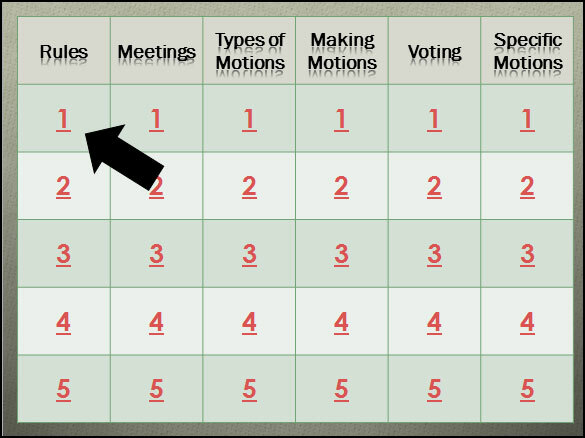 We have been able to use the system for committee Web meetings — instead of spending critical time making sure everyone has the same version of the document and is looking at the same page, we can share documents of all sorts, add our notes to them (or, via desktop share, make real-time edits in the actual document). 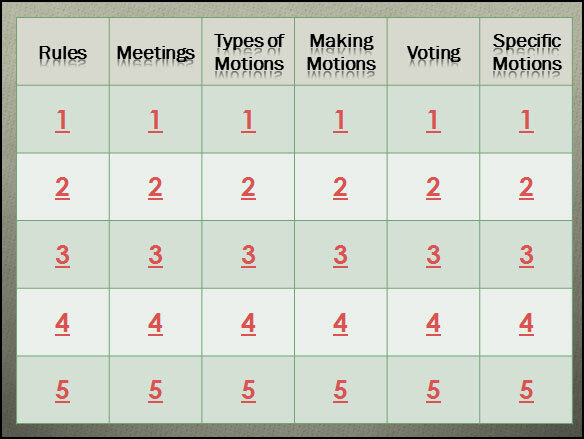 One committee has eliminated an in-person meeting and cut the meeting time from 8 hours to 2. Because we conduct our own Webinars, we keep every dime we bring in. This means we have been able to earn back the license fee and generate a healthy revenue — all with one successful Webinar. Offering CDs of the recordings after the live event could generate even more non-dues revenue (we’re about to find out). Has it taken some time to learn the system? I actually learned enough to conduct our first Webinar within three weeks of having the system available. This included learning the system myself plus train the three presenters. The answer to this question clearly depends on the system you’ve selected. How much use do we get with the system, outside of the Webinars? This also depends on the system and your agreement. We have unlimited use of five concurrent host “rooms” for up to 15 attendees. Because our Webinars attract more than 15, we pay a small fee for each. How much flexibility do we have? Again, depends on the system. We have options for audio conferencing, audio with operator conferencing, and Voice Over IP (VOIP). We can include polls and video, and attendees can take and keep notes, interact via chat, and we can send out the presentation if desired from the live session. How do you decide whether to produce your own or hire out the task? That’s the subject of the next aLearning Blog entry… stay tuned!